Van Guard Full Fit Ltd was established in November 2009. 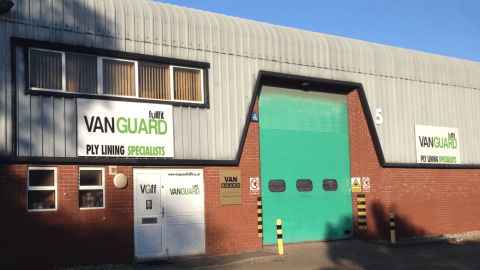 Van Guard Full Fit Ltd was established in November 2009, having previously been part of Van Guard Accessories and formerly Van Guard Ply Lining Ltd, and has now grown to become the most complete Van Accessory manufacturer/installer in the South West. Initially the main focus for our business was creating well designed, high quality ply lining kits, but it soon became apparent that there was a need to offer a wider range of products and services to our customers. Through this diversity of product ranges we have been able to help our customers keep their van off the road for the minimum amount of time, by preventing the need to take it to several different installers, saving them valuable time and money. We have over 40 years combined experience in this industry and pride ourselves on our reliable service, consistently producing high quality goods which ensure you can use your van to its full potential. Over the years we have been pleased to be able to assist customers from all industries and walks of life, often creating entirely bespoke solutions to some unique storage requirements. Through these projects we have been able to develop and improve upon our standard product ranges and draw from these experiences to help create new and better ways to help our customers, something we hope to continue to do for many years to come.